A high- level Delegation from the Belgian Development Agency did visit the Islamic University to discuss further and potential future joint cooperation between the BTI and the agency. The main purpose of the visit was to review the progress of BSIS project, implemented by collaboration between BTI and BTC and funded by EU. The delegation's team consisted of the Head of Development Cooperation Mr. Eric De Muynck, the Resident Representative Mr. Bart Uyttebdaele, and Grier Gregoir had their journey toward two buildings: Business& Technology Incubation and Irada Center. At the BTI, the Belgian team met with the Dean of Community Services & Continuing learning and the Dean of Foreign Affairs who introduced information about the history of IUG partnerships with foreign universities and institutions. The team also met Mr. Basel Qandeel, the BTI general Director, who gave a detailed presentation about the incubation, its projects, stuff, and the successful people who got benefitted from the incubation. 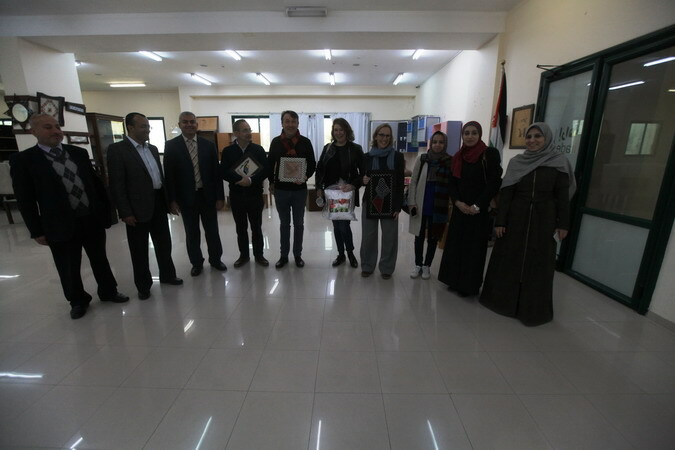 Business and Technology Incubator (BTI) has been the first business incubator in Gaza. Founded in 2006 by IUG as a part of the Entrepreneurship and Developmental Projects Department (EDPD). The incubator has supported over 150 projects and pilot companies over the past 8 years. It provides its services to projects of entrepreneurs, students, and graduates from all universities and colleges in the Gaza Strip. From their side, the delegation's members raised questions about the current projects which have been carried out at the BTI and the duration of funding and implementation they could take. MR. Eric clarified that they thinking of providing financial support for the youths' pioneer ideas, which need to be grown and developed. After discussions, the delegation visited some start-up projects and review the progress there. One of the flourishing ideas that attracted the team's mind is the project for teaching the English language to kids by using toys. After visiting BTI, the Delegation headed to Irada Center to support Youths with disabilities. The team was amazed by the outstanding potentials of the youth. They visited the carpentry workshop, sewing chamber, and Solar System workshop which is distinguished of updated equipment and skillful trainers.